This silky-soft bohemian blouse plays up the volume thanks to the gentle pleating under the collar. It has a Henley-style hidden button-placket and a billowy fit that looks particularly amazing tucked into everyday jeans. 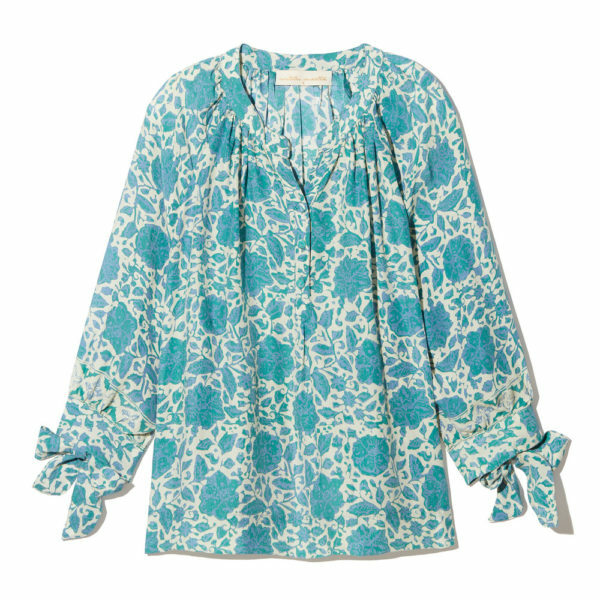 A storm blue print blouse to pair with shorts or denim for an everyday casual.